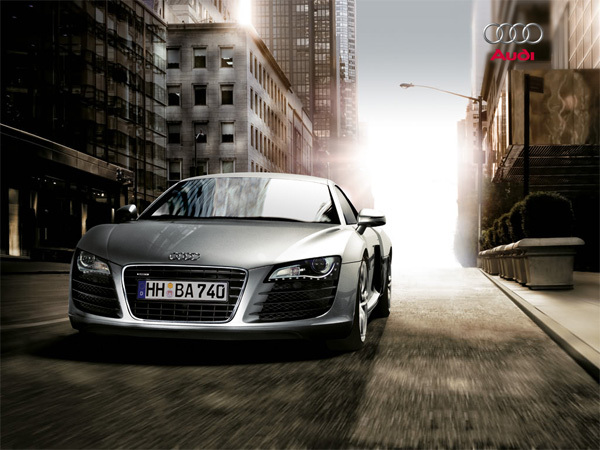 Most sinister sports car i’ve laid eyes on… it’s those swarovski looking false eyelashes on the headlights look isn’t it? and those wolverine claws coming out of the trunk that does it? You know, imagine you’re watching transformers or some animated feature, you would see this and KNOW it was either the villian, or the vehicle of the villain… the very deviously genius villain. 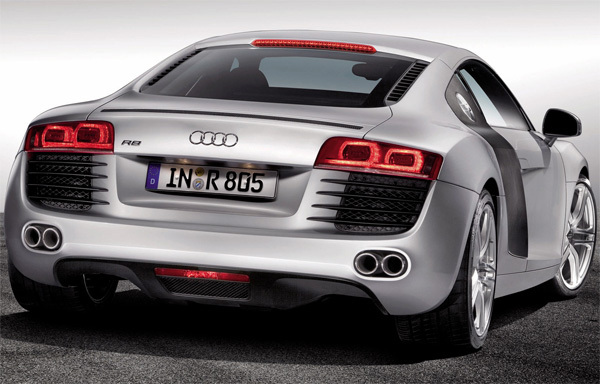 So here we have the freshly announced in Paris, 2008 Audi R8. Gorgeously evil. Wicked fast. Fun images and schematics below. Watch videos of it in action at Left Lane News. More images at the Left Lane News Gallery. 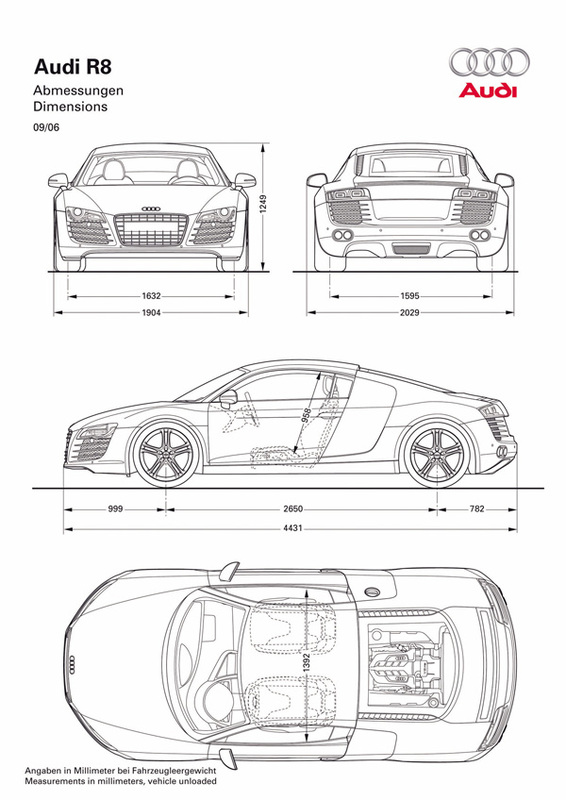 Love Audi’s visual design philosophy.